The cost of putting a roof over your head continues to go up. Not only are home prices still rising, but the cost of rent rose 0.5% in June, according to a report from Apartment List. "Our national rent index was essentially flat from June to December of last year, but has been steadily climbing since then," the authors write. "Rents grew at a rate of 0.5% between May and June, which is generally in line with the monthly growth that we’ve seen over the course of this year thus far." Rents are rising for many of the same reasons home prices are -- supply is lagging demand. Normally, people rent for a while before purchasing a home. But with worsening affordability and shrinking inventories, would-be homeowners are renting longer. That increases the demand for apartments and rental houses. Year-over-year, rents are up 2.9%. That's more than the 2.6% recorded in June 2016 but not as high as the 3.5% growth in rents recorded in June 2015. Rent increases slowed last year but the report's authors note that trend is reversing so far in 2017. In the first six months of the year, the national rent index has risen an average of 0.4% each month. That's a growth rate similar to 2015, when various rental experts worried about a possible rent affordability crisis. In March, Zillow reported that rental housing has become less affordable for all consumers since 2011, but affordability is decidedly worse for renters in predominantly black and Hispanic neighborhoods. 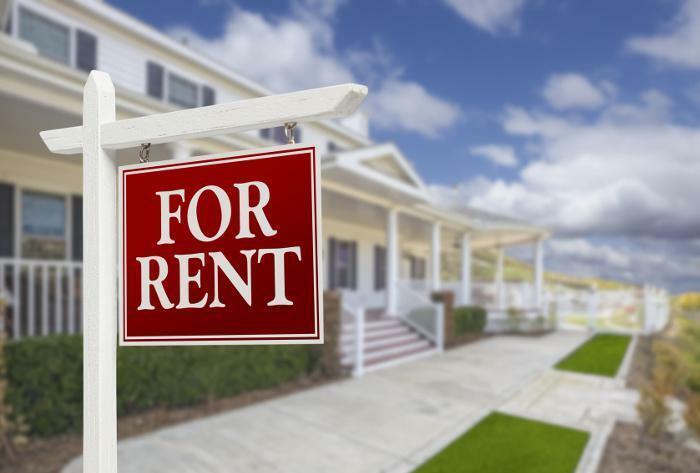 Since the summer is often a time when people move, the Apartment List report's authors say renters can expect rental costs to maintain that upward trajectory for at least the next few months. Rents are increasing the most in cities that are also seeing a sustained spike in home prices. The larger the metro, the more likely it is that rents are increasing. The rent index shows that 44 of the 100 largest cities have seen annual rent increases of 3% or more and 14 metros have seen rents jump 5% or more in the last 12 months. Arlington, Texas, a suburb of Dallas, has seen the biggest increase in rents over the last year, rising 9%. Rents are also rising sharply in Sacramento, Calif., and Reno, Nev. Despite this trend, there are still places in the U.S. where rents are actually going down. Anchorage, Alaska saw rents plummet by 5.8% year-over-year. Rental costs have fallen 2% along the Texas Gulf Coast, in Houston and Corpus Christi.